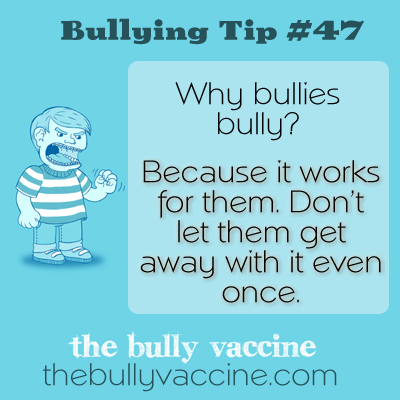 Bullying tip #47: Why reporting bullying behavior is so important. Because it works for them. Don’t let them get away with it even once. Reporting a bully each and every time they behave poorly increases the cost of their bad behavior and eliminates their reward.